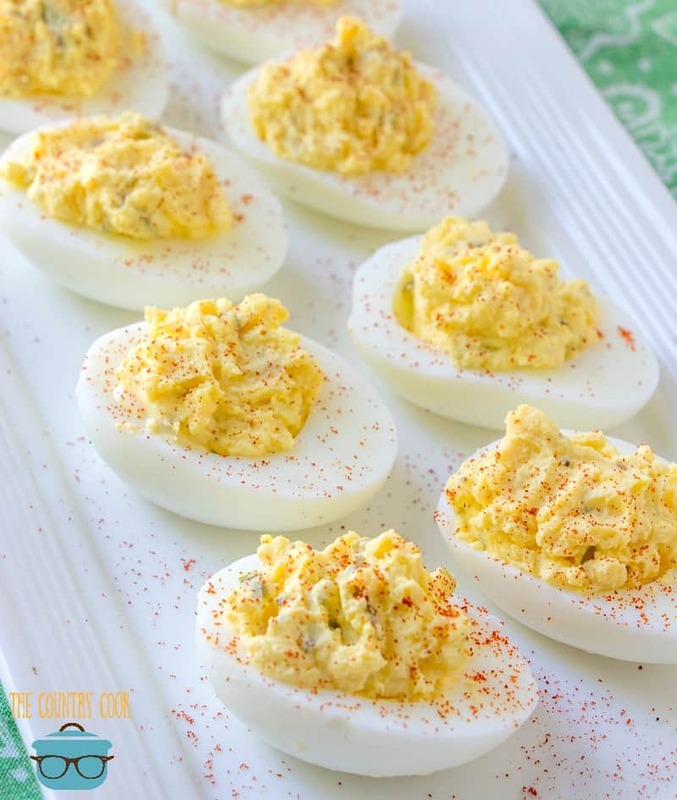 These classic, best ever deviled eggs are a must serve every holiday or cookout. Plus, an easy tip and shortcut for perfect hard-boiled eggs every time! 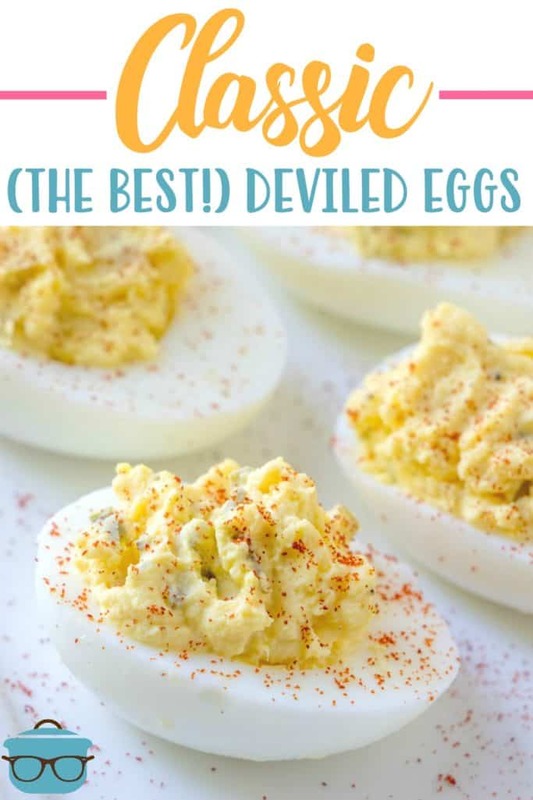 I am having a little fun with that recipe title – “THE BEST!” 😉 These really are just a classic deviled egg recipe which are my personal favorite. Also, if you enjoy this recipe then you should try out my CLASSIC EGG SALAD recipe. So good! I know it is trendy to add all kinds of different ingredients to the classic deviled egg, but, for me, there is nothing like the classic. The Best Ever Deviled Egg is whatever deviled egg YOU make and enjoy, right? 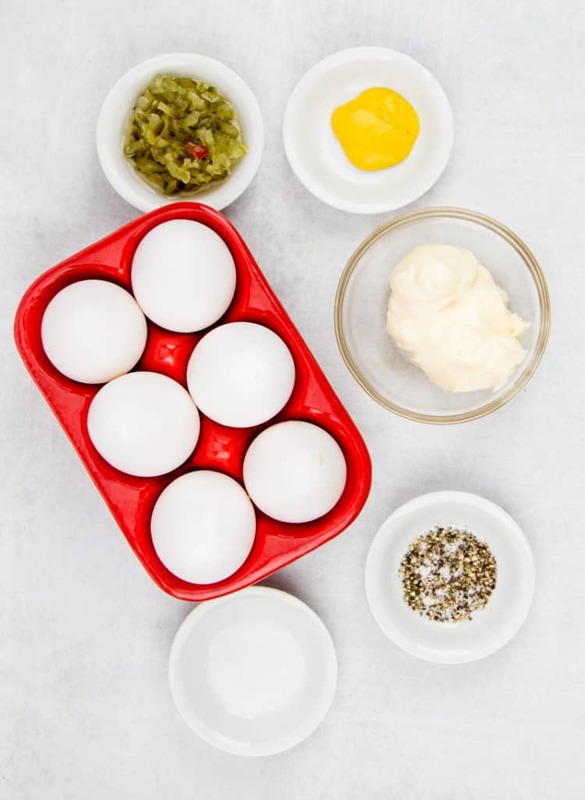 HOW DO YOU MAKE PERFECT HARD-BOILED EGGS? This recipe may not be fancy but they always get gobbled up. If you can find the Eggland’s Best Hard-Cooked Peeled Eggs, they will make this process SO much easier. And they taste really fresh. No boiling required! 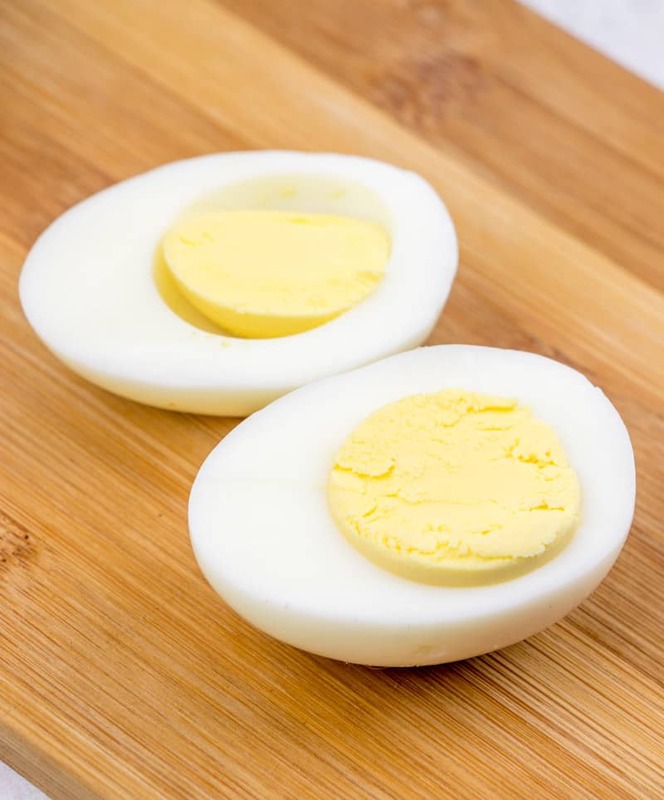 :)I will also show you (below) how to make hard-boiled eggs come out perfect every time without getting that ugly green ring around the yolk! 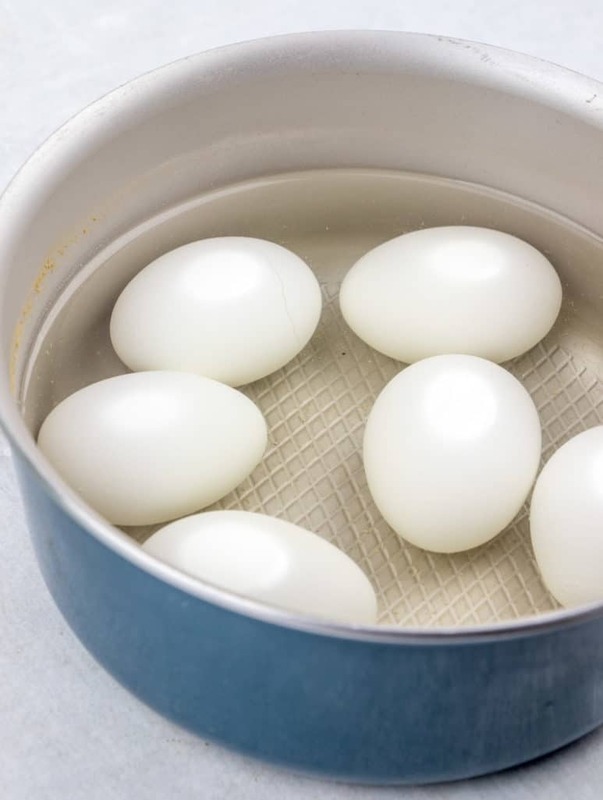 Place eggs in the bottom of a saucepan; add enough cool water to cover eggs. Bring to a boil; cover, remove saucepan from heat, and let stand 15 minutes. After 15 minutes, drain the water then fill the saucepan with cold water and ice. Allow to sit for 5 minutes. Tap each egg firmly on the counter until cracks form all over the shell. Peel under cold running water. Slice eggs in half lengthwise, and carefully remove yolks. Mash yolks with mayonnaise. Add relish, mustard, salt, and pepper; stir well. Spoon yolk mixture into egg whites. Sprinkle with a bit of paprika. 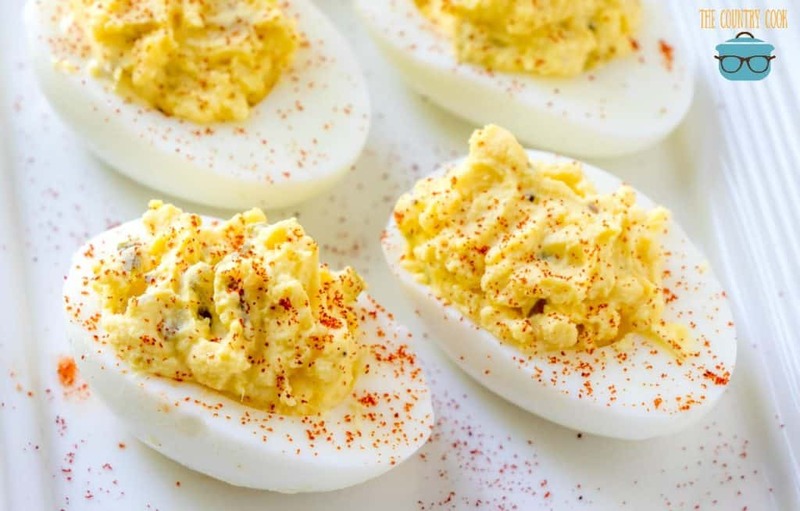 These classic, best ever deviled eggs are a must serve every holiday or cookout. Plus, an easy tip and shortcut for perfect hard-boiled eggs every time! Bring to a boil; cover, remove saucepan from heat, and let stand 15 minutes. After 15 minutes, drain the water then fill the saucepan with cold water and ice. Allow to sit for 5 minutes. Tap each egg firmly on the counter until cracks form all over the shell. Peel under cold running water. Slice eggs in half lengthwise, and carefully remove yolks. You could boil one extra egg. I use the yolk (but not the whites) to help add a bit extra filling. Want more classic appetizers? Be sure to check these out! Sometimes I use JALAPENO MUSTARD, gives them a little kick but certainly not hot. They are REALLY good! I cut down on the Mayo and add A LOT of SPICEY BROWN MUSTARD to give it the extra wetness to compensate for the mayo and it also gives it a little “Zip”. I agree with Joan. My mother has been making them just like this my whole life (and I am 54). And I continue to make them this way. Nothing fancy! But they always get gobbled up first! There really is nothing like the classic. My family LOVES deviled eggs. I only make them a couple of times a year, but they go quickly when I do! I agree with you completely. I don’t know why people feel like they have to tart up devilled eggs with so many ingredients. My deviled egg recipe is the same as yours except I don’t add the relish. My Gram made them this way, My mom makes them this way, and they are perfect. This is the same way I make my deviled eggs, except that I use Hellman’s instead of mayonnaise. I wonder if anyone thinks the Hellman’s tastes better? Mayonnaise is too sweet for my taste. Two things I love the most are deviled eggs and egg salad, and I use Hellman’s in both. Hellmann’s IS REAL mayonnaise. You are thinking of Miracle Whip which is more of a salad dressing. Always use Hellmann’s for deviled eggs and potato salad. Hellman’s or best food is the one I have ever used. You might be thinking about salad dressing or miracle whip to sweet. same recipe I use, except my family prefers sweeter so I use Miracle Whip, and I can sweet pickles, so they must have sweet pickles added! Love your recipes and the photos too! This is the way I make my deviled eggs with two slight changes. I use Miracle Whip instead of mayo and I use dill relish instead of sweet. I made these with dill relish then another platter of ones with sweet relish for a dinner at work. All the eggs were gobbled up and even the ones that I prefer with the dill relish. I used to help my grandma make deviled eggs when I was a kid. This is the same way we always made them except she didn’t use relish. I started using sweet relish several years ago and everyone loves them. It doesn’t matter how many dozen I have, they are always gone. Great classic recipe! I’ll take a great classic over a tarted up nouveau fou-fou version anytime! I prepare my eggs the same way, also. Occasionally, I’ll get eggs that are “sticky” and refuse to peel properly even under running water. At such times, I put the eggs with their cracked shells back into the pan, fill it with cold water and leave them in the pan 2 or 3 minutes, before proceeding with peeling. 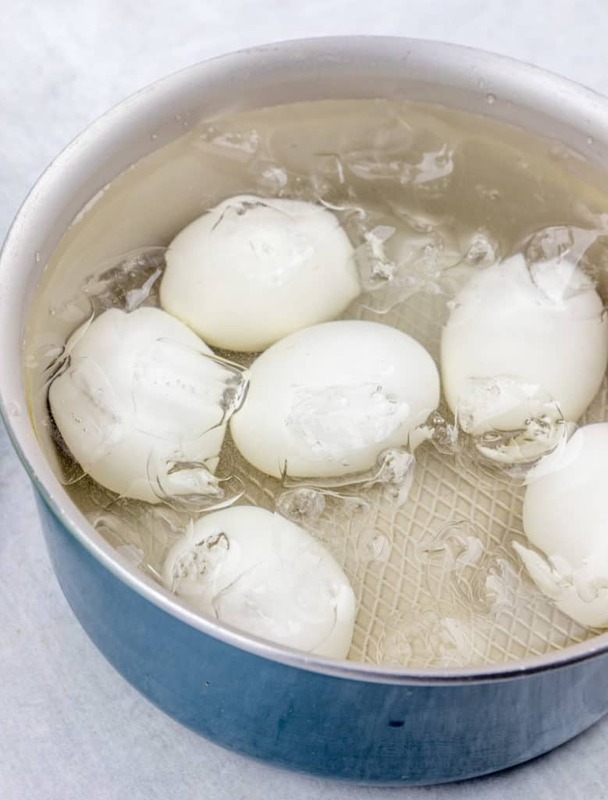 It sometimes helps facilitate the peeling process of “sticky” eggs a bit if water seeps into the cracked egg shells while they’ve been submerged in the water. Totally agree Wynn! Thank you for taking the time to comment! Helmans is called ‘Best Foods’ in my neck of the woods & yes its the BEST!! I’ve been making eggs like this since my mother taught me how back when I was a teen. Now married with two teens! My son loves these eggs. Everyone that has tasted mine just can’t get enough! Funny thing is….I dislike eggs! I love to make deviled eggs but I won’t eat one! I make my deviled eggs this way too, but i decorate the tops with a slice of green olive and parsley leaves. Is it OK to omit the relish? My family are not relish fans. 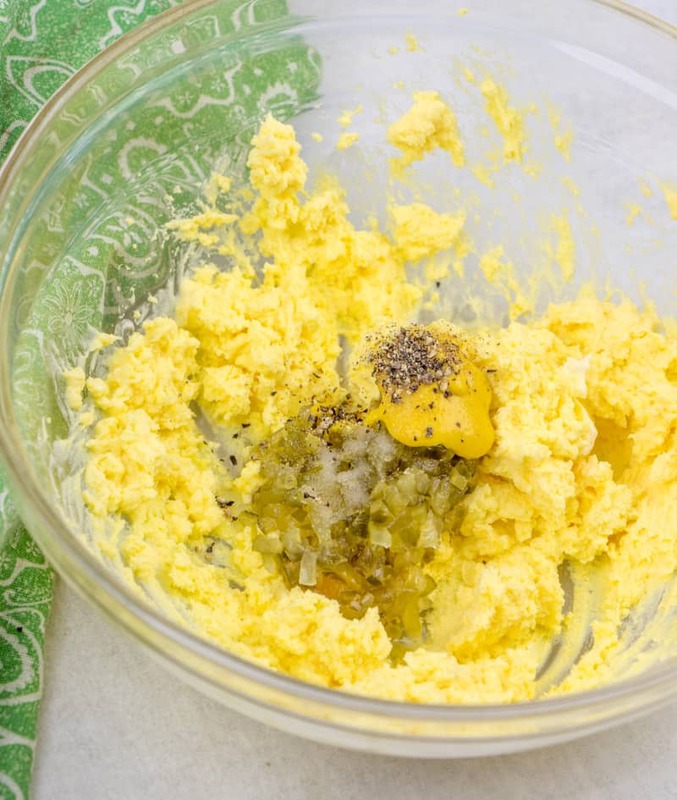 This is the same recipe I always use to make my deviled eggs Instead of mashing the yolks with a fork, I use a grater and grate it into a bowl. It seems to make the yolks lighter and more fluffy. After mixing the ingredients into the yolks, I put the mixture into a pastry bag and pipe it into the white part. Then I place a slice of green olive on it and sprinkle with paprika to make it pretty. I always take an empty platter home. Thank you for sharing such a tasty recipe – we loved it! So happy you liked this recipe Remo! Thanks for coming back to leave a review! I love the classics too! However, we have friends that are very health conscious so I tried substituting plain Greek yogurt for 1/2 the mayo & no one noticed the difference. My attempts to cook the eggs to the point where they peeled easily were often hit or miss. I was skeptical about your technique but I tried it AND with great success!! Yay! They peeled easily and the yolks were a beautiful bright yellow. Perfection! I do want to add that I started with eggs that were at room temperature before I started the process.